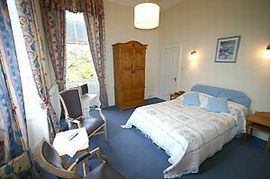 Alba House is an elegant detached Victorian Villa, set in beautiful garden grounds close to Edinburgh city centre. We offer luxury bed and breakfast at very competitive prices. 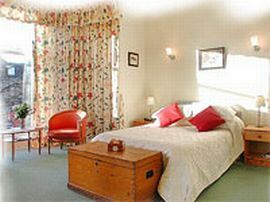 All rooms are ensuite and boast quality furnishings. All guests have access to our beautiful garden which is quietly situated at the back of the house. The city centre is just a ten minute bus ride away. Free parking is also provided on site. 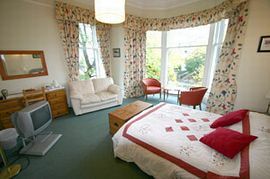 All bedrooms are en-suite and equipped with central heating, colour television, coffee table and armchairs, radio/alarms, hair driers and hospitality trays. We look forward to welcoming all prospective guest - whether on business or leisure - we are confident that you will find Alba House great value for money. Short bus ride on regular service to The Castle and Old Town. Special Diets Provision: Special diets are catered for. Vegetarian and Vegan catered for. Alba House is situated on the A701. From the A720 (city bypass) follow signs for Edinburgh South, exit at Straiton Junction and follows signs for city centre. Alba House is on the right, 500 yards after the Cameron Toll shopping Centre. From the airport take the airport link bus to city centre, change to Lothian bus number 3,3a,31,37,37a on the north side of Princes Street (city centre) and alight at Craigmillar Park. These directions from city centre are the same for guests arriving at the Waverley Railway Station or the Bus station. Rates are £30.00 to £55.00 per person per night depending on season. 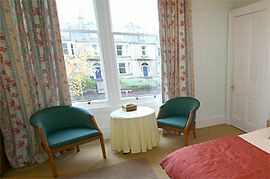 Rates are based on two sharing a double or twin room ensuite. We are open all year(except Christmas and Boxing Day).